We drew the inspiration from struggling to keep track of the massive amount of college work that professors give out on a daily basis. By using Amazon's Alexa, students can say the assignments they have at hand and have them recorded to a database. Then, the tasks are organized based on the due date. In tandem with this, whenever a student wants to study, Alexa can suggest which task to do based on different due dates. We built an Alexa skill by using serverless Lambda of AWS and Node JS. After that, we stored information in DynamoDB based on different user inputs. Then we built an API on AWS that Flask used to display a dynamic dashboard that tells students their assignments and the tasks they're working on. At the start, we were overwhelmed by different tools that do the same thing so it took us some time to decide what to use. We were conflicted on front-end languages as well as back-end languages to use. We are very proud of our electric teamwork and the product we were able to create in the span of 36 hours. Working with a new platform like Alexa is challenging but the documentation is well supported and the community is amazing. Being our first hackathon, we learned that a lot goes into a project before the base stage is developed. We also learned that persistence is key because of the tediousness of different problems we encountered. We just have to keep moving inches and inches. The mentors at VolHacks helped us tremendously; without them, we don't think we can pull off this entire project. This Alexa skill is dynamic and flexible that it can do many other tasks in the future. 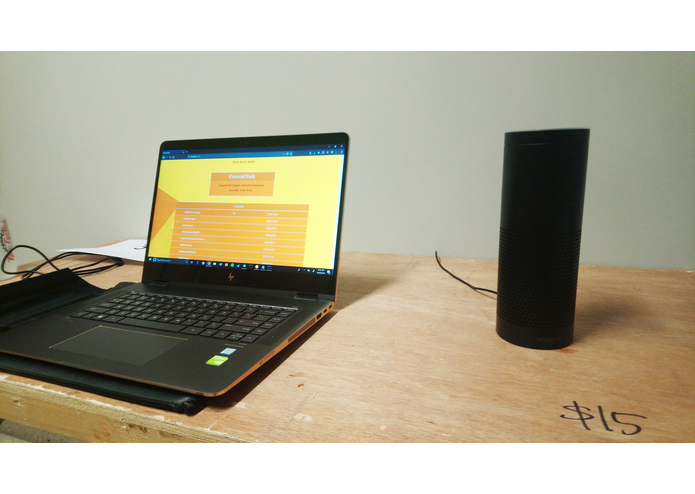 We would like to improve our task suggesting engine so that Alexa can take into account other factors such as the amount of free time a student has and the difficulty of the task. Alexa buddy here, I build intents and Lambda functions to support those intents. Software design thinking for the entire project to provide a not-so-overwhelming approach for a hackathon. The rests are just messing with database and API on AWS. 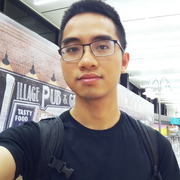 I worked on both the front-end and back-end side of development. I focused on making sure the UI and the database is connected properly. I experimented with trying to connect the front-end with the database using Ruby on Rails, however I could not get the web scraping gem to work. Then I assisted Tray in getting Python with Flask to work and that was a lot easier to use. Overall, this Hack-a-thon I learned a lot about the stages of development and how to use new frameworks, such as Flask. I worked on the front-end and helped advise some of the back-end. It was my first time using HTML and CSS but I got the hang of it with the help from my teammates. I also learned a lot about Flask and AWS thanks to my teammates working the back-end. I worked on the back end with my teamate Thao Tran. I used Beautiful Soup to parse data from our web server and then I used flask(Python Framework) to intigrate the data into the front end.